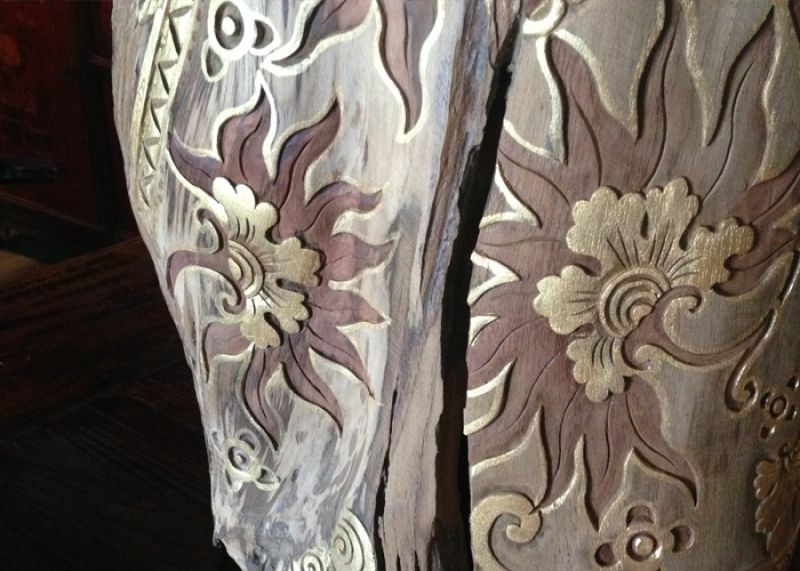 Batik roots collection is made from antic teak wood was dry for decade years. 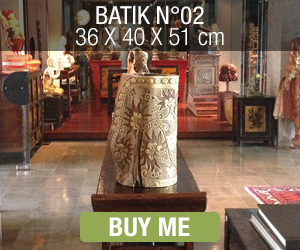 This collection is the meeting of abstract shape with revisited batik ethnic tradionnal pattern. 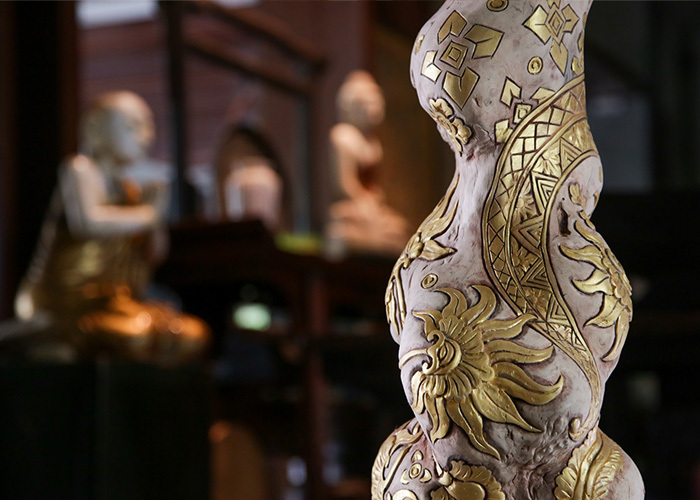 Each pieces is engraving by balinese technics carving and enligthed by gold painting. 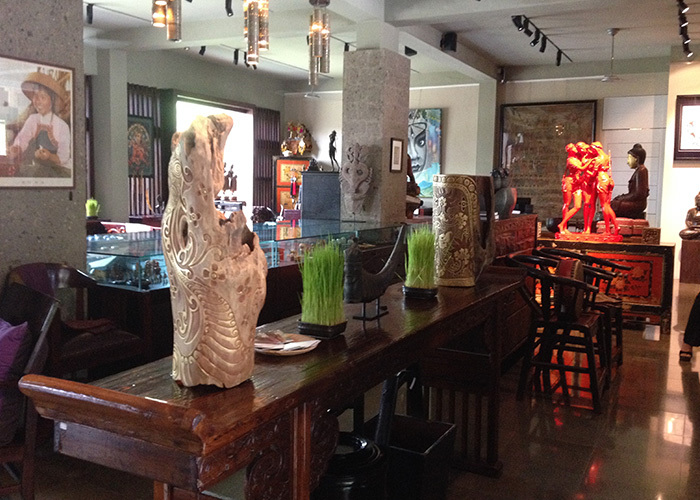 When contemporary art meeting ancestral indonesien batik heritage, the result is 12 unik artwork. 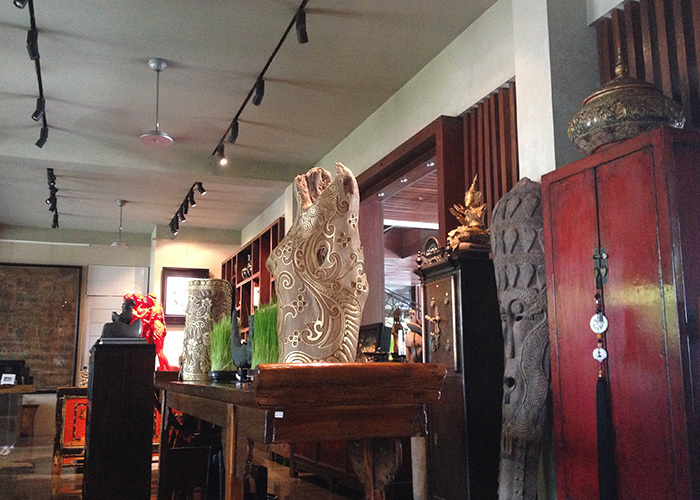 Bali's traditional and contemporary art and fashion are renowned throughout the world. 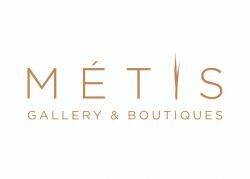 We have selected only the finest for our gallery with care and discernment. 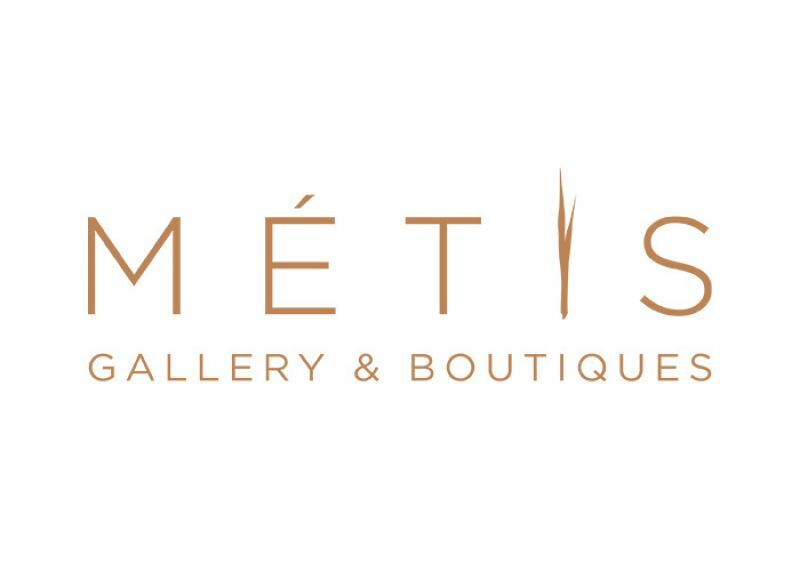 Discover hand-crafted jewelry, one-of-a-kind objet d'art, and the best of Bali's contemporary fashion designers in the boutiques and gallery of M�TIS. 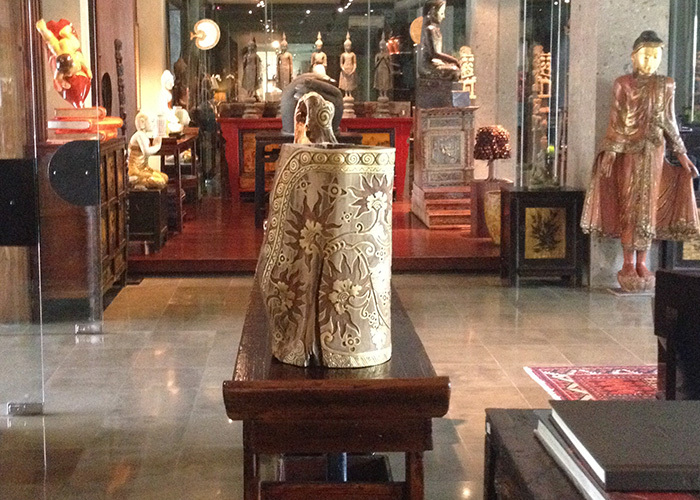 Lots of contemporary photographs and paintings, large collection of Buddha's from all across Asia, art from all across Asia. 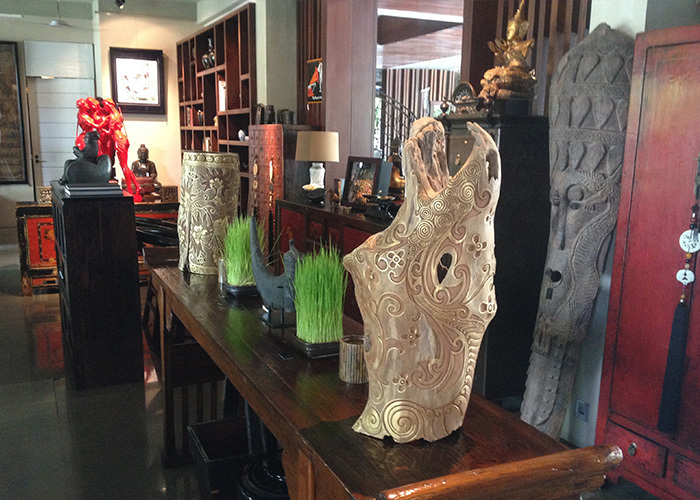 Mickael s batik collection displays exclusive pieces of balinese carving. His artwork represents life vividly. 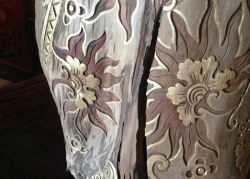 We very much appreciate collaborating with him and his focus on batik style. 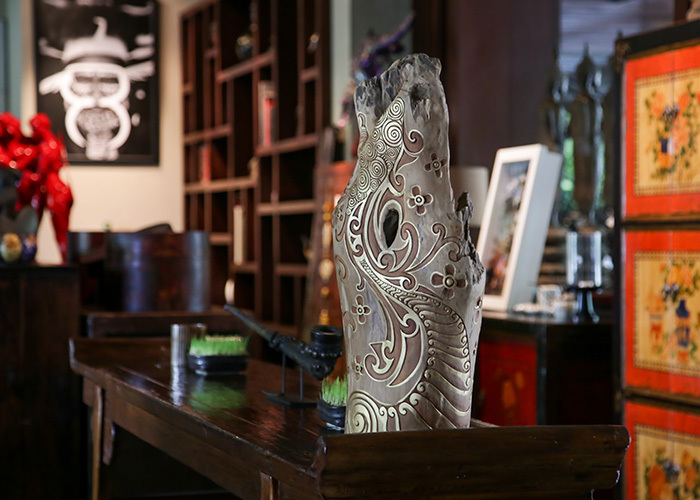 Our team is more than excited to have this unique collection presented in our gallery and enjoy its ambience of special touch. Chef Nicolas Doudou Tourneville, formerly of Kafe Warisan, brings his legendary talent and culinary artistry to the table with a masterful combination of French Mediterranean cuisine. 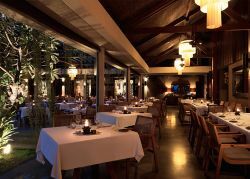 Together with Executive Chef Desyanto Nugroho he introduces inovative flavors that continuously please the guests.